While being in the room for the launch of a buzzy new movie is undeniably thrilling, one of the most exciting (and underrated) side effects of cramming dozens of movies into your eyeballs as quickly as possible—which, when you get down to it, is what a film festival is all about—is watching cinematic trends coming together in real time. One intriguing new trend in world cinema that was especially evident at this year’s Fantasia is that of the postcolonial Western. In broad terms, that means films that self-consciously adopt the aesthetics and tropes of classic American (or Italian) Westerns—black hats and white hats, dusty frontier towns under siege, high-noon shootouts—with one key difference: This time, the villains are white colonizers, and the heroes are indigenous people protecting their land. Mohawk, which debuted at last year’s Fantasia, fits into this category in spirit, if not exactly in genre-formula letter. This year, two films that played at the festival are as pure as examples can be: Five Fingers For Marseilles (B+), a South African film that debuted at last year’s Toronto International Film Festival and is set for a U.S. release in September, and Buffalo Boys (B-), an Indonesian film that had its world premiere two weeks ago at Fantasia. Of the two, Five Fingers is by far the more artfully made film, though Buffalo Boys may have the edge in terms of action choreography. They’re both extremely violent—and defiant—tales of exiled heroes who return home to defend their ancestral lands, and both self-consciously play with Western clichés, to varying degrees of success. Five Fingers For Marseilles takes a more nuanced view, opening with a scene reminiscent of Issa López’s excellent Tigers Are Not Afraid as five black children, hiding out in a cave above their hillside town—itself uphill from a white settlement, the Marseilles of the title—tell each other epic fairytales in which they are the “five fingers” who defend their community from apartheid forces. Then this fantasy becomes dangerously real when one of the boys kills two white cops, and is forced to flee as a result. Twenty years later, that boy, Tau (Vuyo Dabula), a.k.a. Lion, comes home to find that his old friends have been split along lines of power, and that the post-apartheid New Marseilles may need to be defended from the five fingers this time around. Director Michael Matthews and cinematographer Shaun Lee shoot the rocky, sun-baked hills and valleys of northeastern South Africa with an eye toward scale and epic grandeur, with strikingly beautiful results. (Nighttime scenes are also gorgeously shot, with film noir-influenced use of bright directional light and deep shadow.) Matthews also succeeds in his direction of the talented cast, balancing archetypical characters and complex motivations to give the final showdown a sense of tragic inevitability. In particular, ruthless gangster Sepoko (Hamilton Dlamini), a.k.a. Ghost, is a Western villain for the ages, his milky eye and gold teeth adding a chilling undercurrent to his low, husky growl. He’s a perfect foil to the heroic Tau, whose life in exile has transformed him into a silent, badass Man With No Name type. At times, the film is so mythic that it strains credulity, but if you’re a fan of spaghetti Westerns, you know that’s part of the deal. Buffalo Boys, meanwhile, hails from Indonesia, where it’s the first Western to be produced in that particular country. Indonesian genre cinema has had a strong presence on the festival circuit this year: A horror film from that country, Satan’s Slaves, earned positive marks from our writers at the Overlook and Cinepocalypse film festivals. Like that film, Buffalo Boys uses slick, mainstream Hollywood filmmaking styles to tell a story particular to Indonesian culture, relocating the Western to 19th-century Java, where two brothers, Jamar (Ario Bayu) and Suwo (Yoshi Sudarso) have returned from exile to reclaim their father’s sultanate from sadistic Dutch colonial governor Van Trach (Reinout Bussemaker). 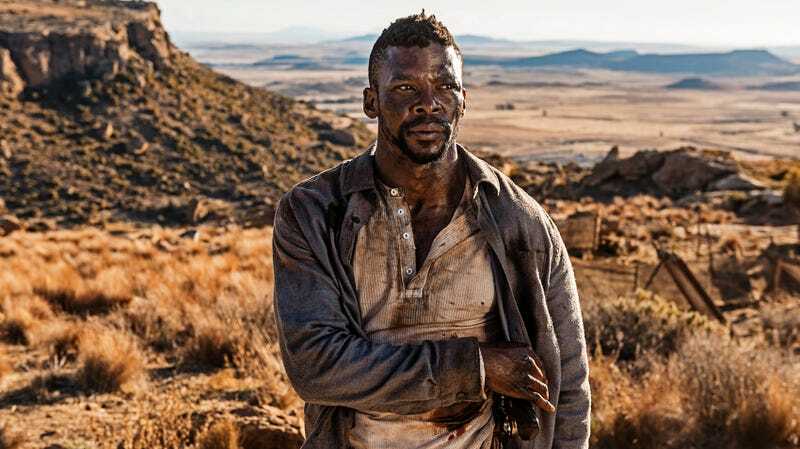 Unlike Five Fingers For Marseilles, Buffalo Boys isn’t terribly concerned with sweeping vistas or slow-burn character development. Its primary function is simply to entertain, which in practical action-movie terms means lots of brawling and lots of blood. Sudarso, who’s worked as a stuntman in many American productions, including Logan and Agents Of S.H.I.E.L.D., shows great skill in both departments—particularly in a brutal barroom fight that ends with a Van Trach flunky impaled on a buffalo skull, prompting the audience at Fantasia to break into spontaneous applause. On a sheer popcorn-entertainment level, the film is great fun to watch. It’s also heavily indebted to the B-movie tradition, from which it derives its core mission of prioritizing heavy-duty firepower over airtight storytelling. Director Mike Wiluan reinforced this philosophy at the post-screening Q&A, where he answered a question about the current wave of Indonesian action by saying, “It’s all about innovation in violence.” There’s a thesis statement if we’ve ever heard one. And although it’s not a Western, the reinterpretation of Hollywood storytelling techniques by international filmmakers manifests itself in a particularly fun way in Champion (B), a South Korean take on Over The Top that also exists in a cinematic universe where arm wrestling is a massively popular televised sport. Impossibly beefy, immensely likable Train To Busan star Ma Dong-seok (billed here as Don Lee) stars in the Sylvester Stallone role, a Korean-American former bouncer named Mark who travels back to his birth country to compete in an arm wrestling tournament at the behest of his friend Jin-ki (Kwon Yul), who plans to make a boatload of money throwing matches with his hulking bud. Mark is a man of integrity, however, which means it’s time to fire up the Rocky-style inspirational sports movie machine. Typical of South Korean films, director Kim Yong-wan infuses the story with plenty of melodrama in the form of a subplot involving Mark’s search for his birth mother, who gave him up to be adopted by an American couple when he was a very young child. The story remains lively and straightforward despite these mawkish detours, however, and although I couldn’t help but giggle at one particularly silly training montage, that same guilelessness is so incredibly charming that I caught myself getting a little misty-eyed as Mark gave a monologue on his Korean identity 20 minutes later. In short, it’s cheesy as hell, but it works. If you’ve been missing the goofy earnestness of ’80s action movies, then we’ve got good news—they haven’t gone away, they simply changed location. We’ve got one more dispatch for you from the Fantasia Film Festival, taking a look at some more of the festival’s signature Asian titles, including buzzy South Korean thriller The Vanished, cult director Sion Sono’s TV series-turned-film Tokyo Vampire Hotel, and Amiko, the debut of 20-year Japanese filmmaker Yoko Yamanaka.